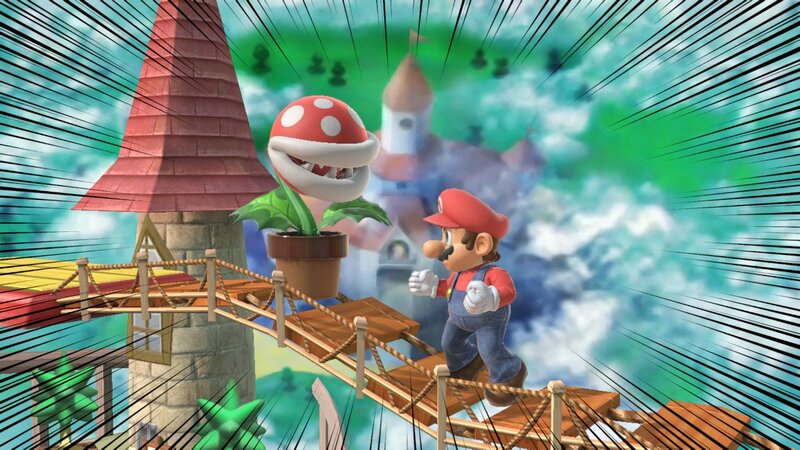 Just a few moments ago, the early-purchase bonus character Piranha Plant was released for Super Smash Bros. in the ver 2.0.0 update. In addition, several game-balance adjustments have been made as well as the ability to play on the Spirit Board with multiple players. When playing the Spirit Board with multiple players, the battle is lost when anyone on the team is KO’d. Event exclusive spirits such as Partner Pikachu, Dice Block, River Survival, and the Golden Mushroom will now appear in the shop as well. The first DLC character, Piranha Plant has also been added. He is available for anyone that bought the game digitally or redeemed the physical version for gold coins on their My Nintendo account. The gameplay has been slightly tweaked as well. Hitting both jump buttons will now perform a short hop, and several characters have been given specific adjustments. For the first time, the character adjustments are available to view on the official website. Want to know what we thought about the massive Nintendo fighting game? Check out our Super Smash Bros. Ultimate review here!